Autumn is coming and Re(d)cycle is back again in great style to propose its novelties for 2012-2013. On September 30 we will open the doors of our dressmakesr’s shop in Garbatella-Rome to present our version of the Fashion Night, a different way to live fashion! 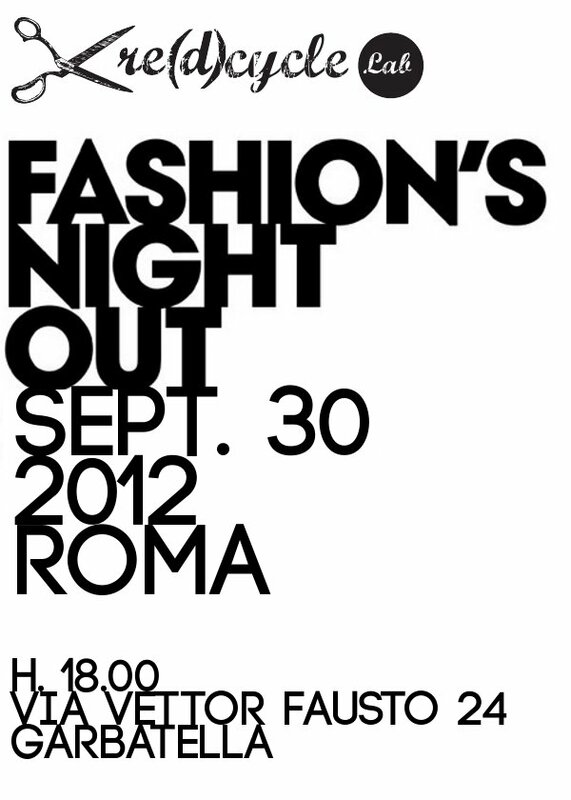 No night gala, no VIPs, no fast-fashion chain, but only a drawing-room in the open air where we can meet and have fun with collective fashion! A photographic set will be set up, mountains of dresses will be available to be fitted and re-used in addition to the unfailing sewing machine: everyone will have the oportunity to play with the textiles and with the accessories that will be at disposal starting from the idea of re-using and originality. For one night fashion will come out from the collective gear of styles, personalities and moods. Protagonists will be those who everyday live and animate the city with her/his projects, dreams and ambitions! Questo articolo è stato pubblicato in Uncategorized da RedcycleLab . Aggiungi il permalink ai segnalibri.